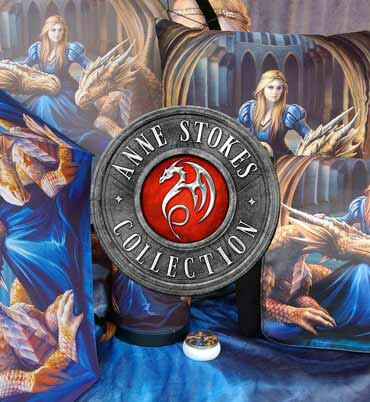 From the untamed imagination of world-famous Fantasy artist Anne Stokes, this enchanting and luxurious throw is exclusively available through Nemesis Now. In a magical forest, moonlight streams through the branches at night. A white Unicorn sits serenely on the long grass, moonlight reflecting off their flanks and horn. They look at you with an unnatural intelligence and calmness, the tip of their horn glowing, as if the light was coming from within somehow. Against their side rests a young woman with chestnut hair, her long blue dress flowing across the ground. A small sapphire is fixed in place on her forehead by a blue diadem. With Anne Stokes’ gift for bringing animals to life in her art, this throw isn’t just magically soft, but is also suffused with an enchanting aura of calm, making it perfect for any chair or sofa.